A quick thought on Mutual Funds! Mutual Funds (MF) are a great way to invest.The current scene,however, might not be very easy on the MF industry yet for long term investment these are an ideal option. Mutual Fund started way back in 1963 whereby only United Trust of India, better known as UTI, existed with their fund. Gradually, many banks came up with their own.In 2012 this industry was known to many investors who wanted to know more about them. Before investing any one would want to know how mutual funds work. Now, if you ask this from a finance professional, mostly, you’ll get answers that raise even more doubts because the clarifications are full of financial jargon In simple words, you will be more confused than before. To simplify, mutual funds are a collection of stocks or funds. These are managed by a fund manager who has a wide experience in the investment sector. These funds are managed by him and allocated in different industries, which vary widely. The returns can either be re-invested (growth) or paid out as dividends. So how do you choose which mutual funds suit you the most? People who have little clue about mutual fund will always tell you that they are full of risk and will discourage you from investing. However, having said that, I do feel that before plugging in your money you need to watch out for a few points. 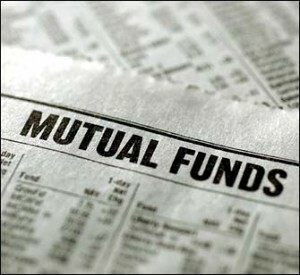 Mutual funds are open ended or close ended and an investor should worry about this point. The reason being that if the investor is unaware of this then the money can be locked in for as long as 10 years in case of close ended funds.So if you feel you might require the money after a year then it is always better to go for an open ended fund as it keeps your investments liquid. Close ended means locking away your investments for a considerable period of time e.g. 5 years or more. However, most close ended funds yield lower returns than open ended and that is one pointer to watch out for. After choosing whether the fund is open ended or close ended: we look at what variety we want to deal in. Ideally, mutual funds are identified on the variations of different asset classes. These are money market funds, Fixed Income funds (better known as bonds), and equity funds. Money market: these are like treasury bills or certificate of Deposit. Very low risk and hence a very low return. These are short term debt obligations. Personally, I would park my money in a bank fixed deposit rather than a money market instrument but then as I said it all depends at what you are looking at. Fixed-Income Funds: These funds are invested in government and corporate debt. It provides steady returns and higher than the money market.These are mostly close ended funds and money has a lock in period of more than one year depending on which mutual fund it is.These funds are not entirely risk free but one needs to know where the particular mutual fund is investing the money in. The risk on a certain mutual fund depends on that. Equity Funds: These are high on risk because they invest in stocks. This is by far the largest category and is further divided on the basis of size (market capitalization) and investment style of companies that these funds are invested in. Market capitalization relates to the size of the companies (micro cap, small cap, mid cap and large cap). Investment style means value, blend or growth. Growth funds invest in stocks of fast-paced companies. Value funds seek to invest in stocks that are cheaply priced. Blend funds are not biased toward either growth or value. The fund manager’s past performance (if any) also plays an important role in choosing which equity fund to invest in. It is always advisable to chose companies that are neither value nor growth stocks that are somewhere in the middle. Balanced Funds: These are a mix of both equity funds and fixed income funds.These ensure safety and value of the capital invested.Usually coming with a 60% equity and 40% debt ,these funds are similar to asset allocation funds. One thing to remember is that the fund manager can always switch the ratios as per the market or when he feels he needs to. Index Funds: These funds are power packed and move along with the exchange. If you doubt the fund manager’s performance then this fund is for you since it is entirely base on the performance of the market and not what the fund manager chooses for you. Entry/exit load while investing in a mutual fund should be carefully clarified before putting in the money. Do remember that mutual funds have Net Asset Value and not price. This change happens at the end of the day and not every minute unlike shares. This article is just to make you aware that types of Mutual funds are just one of the things to watch out for.Besides these, a fund manager’s past performance, the industries where the fund is being used, the ratio of equity and debt, fees and charges and the fund’s performance holds equal importance. So next time you think of putting money in Mutual Funds, be smart and invest smart! © 2012 Deena Zaidi. All rights reserved. Recurring Deposit: Small and steady way to save and remain invested!